Every once in a while, we come across an oddball in the music videos that we post. Usually the average video consists of the person playing the song and then it’s over. Although most are very well played and sound beautiful on their own, we’re left with nothing to remember it by and its lost in the world of the internet. We get a ton of them, but today we stumbled upon two rather humorous performances of a Zelda Medley being played at Video Games Live back in 2010 and 2011 by Flutist, Laura Intravia. 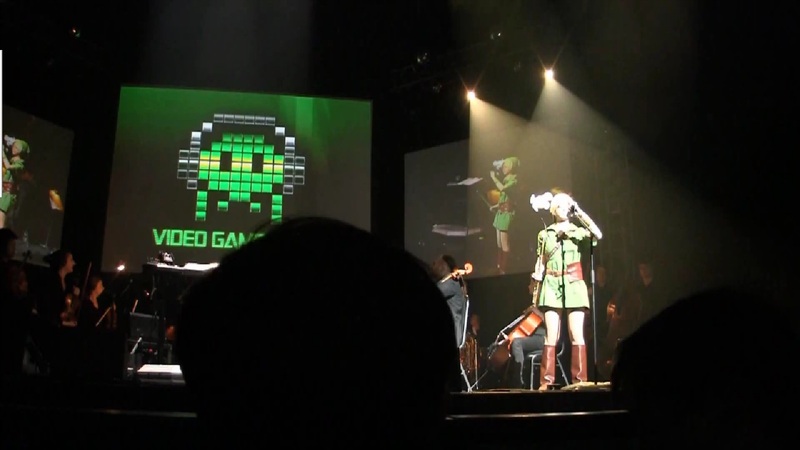 The videos feature Laura dressed in a cosplay costume of Link, her very own annoying Navi and a few “interruptions” that end up making her performance a little more memorable than our regular music post. Putting the Comedy relief aside, both performances are very well done and Laura does an outstanding job of capturing the original feelings of the songs while putting her own little spin on them. Her flute, although blindingly shiny, sounds beautiful and makes these some of the best Zelda Medley performances I have seen. Make the jump to check them out for yourself. After seeing what seems like a million different renditions, remixes, and covers of the same Zelda songs, its nice to find something that breaks the mold and has it’s own originality to it. Laura Intravia and the rest of the performers did an fantastic job with both performances. What are your thoughts though? Do you think they were as great as I did? Did Navi and the interruptions end up making the performances more memorable for you as well? Let us know in the comments below.